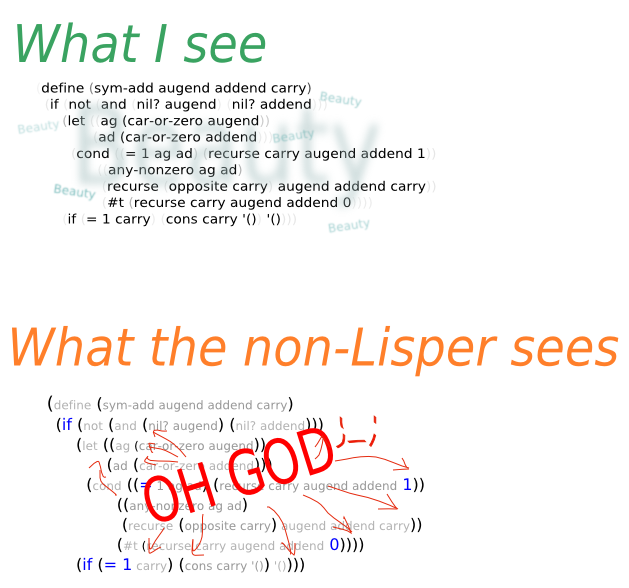 Loper OS » Parentheses-Phobia Illustrated. This entry was written by Stanislav , posted on Wednesday September 22 2010 , filed under Lisp . Bookmark the permalink . Post a comment below or leave a trackback: Trackback URL. Good post, actually I’ve been reading your posts and generally I like them, even if I don’t agree with you (e.g. clojure) I like how you make me think about things. 98 xor 100 = ?